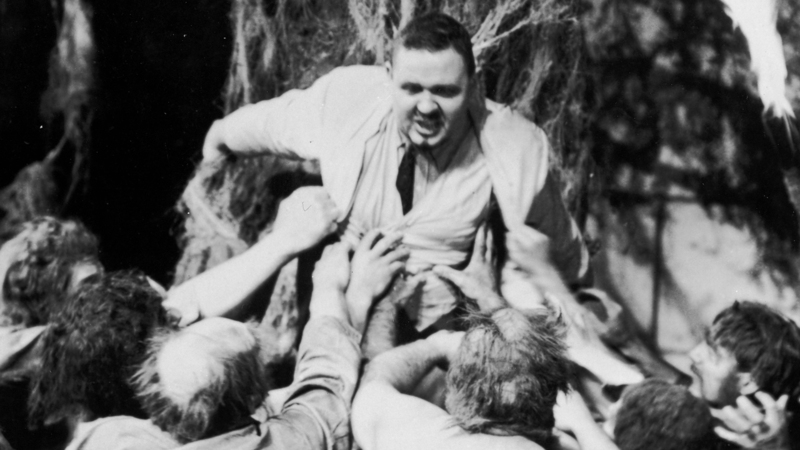 Following his striking turn in The Old Dark House, Charles Laughton made the film The Devil and the Deep, which was shot before but contractually released after James Whale’s movie. He endured a miserable experience catering to Talluh Bankhead’s diva behaviour on-set. After this was Payment Deferred, a filmed version of the play that originally got him noticed by Hollywood and then a memorable role as Nero for Cecil B Demille in Sign of the Cross. 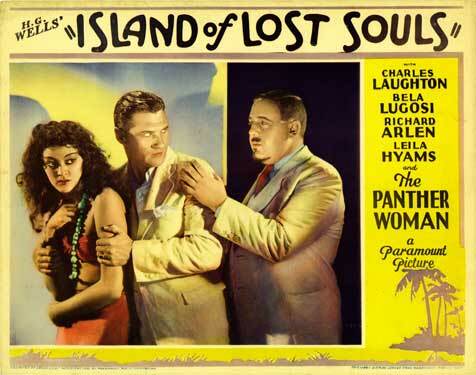 Then came the controversial Island of Lost Souls, the second film based on H.G. Wells’ novel The Island of Dr Moreau. There had previously been a French silent version - Ile d'Epouvante (aka The Island of Terror) released in 1913. Writers Philip Wylie and Waldemar Young fashioned a screenplay retaining much of Wells’ story for director Erle C Kenton. Wells himself was reportedly unsatisfied with the movie, feeling it sacrificed the philosophical arguments of his novel for horror effects. One can certainly see traces on-screen of what might have been deeper elements explored, particularly those expressed by Laughton as Dr Moreau. To begin with, the film is something of an explorer adventure picture, detailing a young shipwrecked man, Edward Parker (Richard Arlen) who is picked up by a vessel transporting caged animals to a mysterious unnamed island in the South Seas. The Captain (Stanley Fields) is a bitter drunk who questions his cargo’s necessity and the secrecy, taking out his frustration on an even more odd human/animal servant M’Ling (Tetsu Komai) belonging to Arthur Hohl’s Montgomery, a sombre chap who is evasive about his shady past as a doctor: “At least I was…once upon a time”. For punching the bullying Captain, Parker is turfed overboard in revenge onto a ship bound for the aforementioned island instead of being returning to Apia and his concerned fiancé Ruth (Leila Hyams). On the island. Parker is introduced to Dr Moreau, a white-suited, pompous man of science, given cut-glass English tones by Laughton, an airily grand manner befitting a colonial ruler and with a thin moustache and a precise, close-cut beard adding a certain primness. Laughton is in full command in the role; despite the territory being populated with more half-human, half-animal bipeds, he blithely lashes them with his whip to keep them in line whilst taking Parker breezily on a tour. His guest is intrigued by Lota, the exotic scantily-clad human female who is locked up for some reason. Moreau dominates her too, warning her when speaking to Parker to say: “Nothing about me, nothing about The Law and nothing about the House of Pain”. This marvellously engages our minds with the juicy possibilities those clues contain. 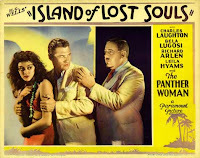 Lota is billed as ‘The Panther Woman’ in the film’s poster, a hang-over from the publicity stunt to cast her earthy charms – revealed as the more prosaic Kathleen Burke in the actual credits. She fastens herself with a desperate passion to Parker, hinting at the murky fear-inducing truth of what the Dr is up to. He stumbles upon it soon enough when cries from the House of Pain reveal themselves to come from the operating theatre where Moreau is performing surgery on an unnervingly ape-like human. He screams at Parker to get out. Only later will we find out the horrific reasoning behind his sadistic intentions. We are then introduced to the oppressed faction of humanoid-animal hybrids of the land, led by the Sayer of the Law. This is Bela Lugosi, which you may be grateful to have pointed out to you as he is only identifiable by his Hungarian accent under a bushy werewolf face-fuzz. There’s a macabre frisson when the gathering recites the components of the Law they have learned to recite out of fear of punishment: “Not to run on all fours…Not to eat meat…Not to spill blood” each delivered as a call with a servile response of “Are we not men?”. (1970’s era music fans may recognise this reply as the title of Devo’s album inspired by the work: Q: Are We Not Men? A: We Are Devo!). Moreau attempts to gently bring Parker onside and up-to-speed, recounting how he began modestly enough with bio-anthropological studies of orchids leading him to genetically modify them. As his confidence grew, so did his vision, exponentially increasing his field of experimentation through to live animals, an insanely arrogant God complex believing that they are merely unevolved humans - and that only he has the skill and daring to accelerate their evolution. His island’s bestial creatures are the failed victims of his grotesque meddling. This is a dense, fertile jungle of ethics to be sure, but is machete’d for pace in a 70-minute commercial horror film. Nevertheless, these scenes not only demonstrate Laughton’s craft as an actor in presenting his ghastly case, they also afford us one of two specific examples of the brilliance of Karl Struss’s use of shadow in his cinematography. Struss famously worked with F.W. Murnau, shot the original silent Ben Hur (1925) the 1931 Dr Jekyll and Mr Hyde and filmed Chaplin’s The Great Dictator and Limelight. He shrouds Laughton’s face in shadow as the Dr muses on how to awaken Lota’s fully human lust, before allowing his lit match to trigger a full light on his face just at his revelation of using Parker to do it. The other wonderfully effective shot masks Montgomery’s expression in shadowy strips when he resolves not to lose his moral compass and assist Moreau any more. They are beautiful moments where lighting adds to character, concealing and revealing interior life. While Parker temporarily loses himself in a smouldering kiss with the Panther Woman, his fiancé Ruth on Apia gets the American Consul to force the Captain into coughing up the co-ordinates for where he dumped her man. She is assigned another Captain, who is also a heavy drinker, to take her to the location. (What is it about the nautical life that leaves sobriety out-to-sea?). She is happily reunited with Parker. Meanwhile Lugosi’s Sayer is energised to fulfill his destiny as the lycanthropic shop steward, leading the masses to revolution like a manic young Goon-era Spike Milligan. “Law…no more!” he decrees to Moreau. With affecting passion, Lugosi lays down their new terms before tearing down the whip-brandishing Moreau in his bravura last stand. Island of Lost Souls was a flop in America but was to prove a controversial film in Britain for its operation scene, perceived cruelty to animals and the line "Do you know what it means to feel like God? ", a sentiment similarly problematic when expressed by Colin Clive in Whale’s 1931 Frankenstein. 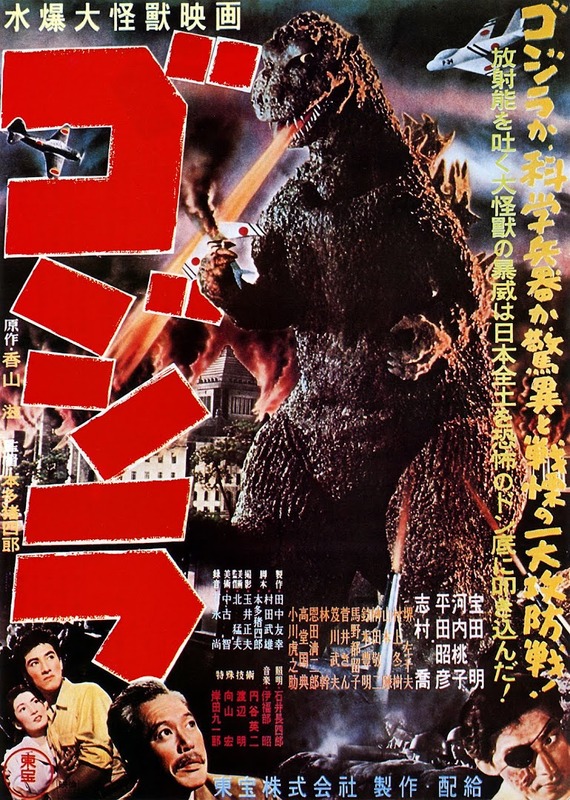 The British censors only passed the film in 1958 with cuts after three failed submissions since 1933. In today’s climate it is only worthy of a PG, uncut. Future iterations of the story would appear in 1977 (starring Burt Lancaster) and infamously in 1996, a version bedevilled by off-screen ego dramas involving leads Marlon Brando and Val Kilmer far more entertaining than the finished film, during which original director Richard Stanley (Hardware, Dust Devil) was fired and then snuck back on set in disguise to record what happened without him. Watch the fine documentary Lost Soul: The Doomed Journey of Richard Stanley’s Island of Dr. Moreau to understand demented ideas that make the doctor’s delusions seem sane.